LJH Ladies’ Breakfast – Sat May 28/11 – Maria Palomino – Nothing Is Fruitful Apart from Him! Lift Jesus Higher is having another Ladies’ Breakfast on the last Saturday of the month, May 28, 2011. You are welcome to join us. Poster attached to post if you would like. Nothing Is Fruitful Apart from Him! Lift Jesus Higher’s Mission in Peru since 2006! as we step in faith to work with the poor & the underprivileged. Where is the idea of discipleship found in scripture? The great commissioning of the Disciples. Note: Did Jesus said? Make CONVERTS, or Make Pentecostal, Catholic, Protestants, Orthodox, and Non-Denominational CHURCH-GOERS? or Make Christians who become occasional visitors in my Father’s house of prayer? God told a modern day prophet friend in a vision: You know Christianity became an event rather than a radical lifestyle. For some it is a weekly event, for others a yearly event and for some it is a three times in a lifetime event (When they are Hatched, Matched and Dispatched) and for some a Non-Event. What are the conditions of true Discipleship of Jesus Christ? 1. Single-minded acceptance of the primacy of Jesus as Lord and Savior. 2. Self sacrifice and sacrifice of all material possessions and acceptance of Jesus and the Gospel. John 13:12-15 So when he had washed their feet and put his garments back on and reclined at table again, he said to them, “do you realize what I have done for you? You call me Teacher and Master and rightly so, for indeed I am. If I, therefore, the master and teacher, have washed your feet, you ought to wash one another’s feet. I have given you a model to follow, so that as I have done for you, you should also do. 4. How do people ought to recognize the true disciple of Jesus? 1 John 4:20-21 If anyone says, “I love God,” but hates his brethren, he is a liar; for whoever does not love a brethren whom he has seen cannot love God whom he has not seen. This is the commandment we have from him: whoever loves God must also love his brethren. What is this LOVE all about? How do we practice it in practical terms? The Blue Print for it can be found in 1 Corinthians 13:4-7 . Love is patient, love is kind. It is not jealous, love is not pompous, it is not inflated, it is not rude, it does not seek its own interest, it is not quick-tempered, it does not brood over injury, it does not rejoice over wrongdoing but rejoices with the truth. It bears all things, believes all things, hopes all things, endures all things. Love never fails. 5. The Disciple and the Teacher. Matthew 10:24-25 “No disciple is above his teacher, no slave is above his master. It is enough for the disciple that he become like his teacher, for the slave that he become like his master. John 15:13-15 “No one has greater love than this, to lay down one’s life for one’s friends. You are my friends if you do what I command you. I no longer call you slaves, because the slave does not know what his master is doing. I have called you friends, because I have told you everything I have heard from my father. 6. The disciple remains in the Word of God and produces much fruit. John 8:31-32 Jesus then said to those Jews who believed in him, “If you remain in my word, you truly be my disciples and you will know the truth, and the truth will set you free. John 15:4-5 “Remain in me, as I remain in you. Just as a branch cannot bear fruit on its own unless it remains on the vine, so neither can you unless you remain in me. I am the vine, you are the branches. Whoever remains in me and I in him will bear much fruit, because without me you can do nothing. 7. The true disciple knows the will and the commands of his Master. The will and the commands of Jesus can be found in the pages of the Scriptures. As an example see the following in Chapter 5-6-7 of Matthew. Matthew 5:1-2 When Jesus saw the crowds, he went up the mountain, and after he sat down, his disciples came to him. He began to teach them. The Beatitudes, The Salt and the Light of the World, Teaching about the Law, About Anger, About Adultery, About Divorce, About Oaths, About Retaliation, Love of Enemies, About Almsgiving, About prayer, About Fasting, Treasure in Heaven, Light of the Body, God and Money, Dependence on God, Judging Others, Pearls before Swine, Answer to Prayers, Golden Rule, Narrow Gate, False Prophets, The True Disciple, The Two foundations . But this is not an exclusive list. The Gospels and the Letters by the Apostles are full of the teachings of Jesus, what a true disciples should know. How to obtain this knowledge? The True disciple of Christ is a Wise disciple: Read Matthew 8:24-27 . Everyone who listens to these words of mine and acts on them will be like a wise man who built his house on the rock. The rain fell, the floods came, and the winds blew and buffeted the house. But it did not collapse; it had been set solidly on the rock. And everyone who listens to these words of mine but does not act on them will be like a fool who built his house on sand. The rain fell, the floods came, and the winds blew and buffeted the house. And it collapsed and was completely ruined. “For those who are led by the Spirit of God are children of God” (Rom. 8:14). Therefore I DECLARE that I am a Child of God, because I have received the Spirit of adoption, through which I cry, Abba, “Daddy”! So I am no longer a slave but a child a brother/sister of Christ and also an heir, through God! 2. My/Our Attitude Towards; God and All Brothers and Sisters In Christ. I do DECLARE that I shall maintain my relationship with God by: RA-PA-TA (Rejoice Always, Pray Always, give Thanks Always) Philippians 4:4 ; Thessalonians 5:16-18 and I will maintain my relationship with my neighbor by: BU-LU-CU (Build Up, Lift Up, and Cheer Up! ): 1 Corinthians 13:4-7, 14:3 or Romans 12:18, 14:19 or 1 Peter 3:8-9, Phil. 2:1-4 This I will do, regardless how I feel on any given day. I do DECLARE that the Spirit of the One who raised Jesus from the dead dwells in me. Therefore that same Spirit will raise me to life also with resurrection power. 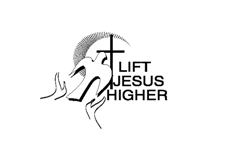 You are currently browsing the Lift Jesus Higher blog archives for May, 2011.